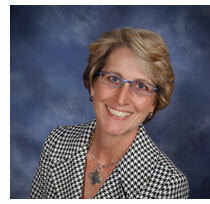 Visit Spokane is pleased to announce its new Regional Director of National Accounts - Mid-Atlantic, Ann Garvey. A 20-year meetings industry veteran, Ann will be based in the Washington D.C. office of Visit Spokane. In her new position, Ann will work with the Visit Spokane sales team to promote the Spokane region as a meetings and conventions destination. "Ann is a great addition to our team as she brings years of experience and knowledge of the meetings industry to the role," said Keith Backsen, Vice President of Sales and Services. "Having a staff member positioned in the D.C. market is a key part of our sales strategy and we are lucky to have Ann lead that effort as she shares the Spokane story." Most recently employed by Pasadena Convention and Visitors Bureau, Ann also has worked for Puerto Rico Convention Bureau, Visit Baltimore and Los Angeles Convention and Visitors Bureau. A Certified Meeting Professional (CMP) and working to receive her Certified in Exhibition Management (CEM) designation, Ann has more than 12 years of experience working as a remote sales manager. "I attended an industry meeting in Spokane last summer and fell in love with the destination," said Ann. "I think the Spokane region is a hidden gem, and I&apos;m excited to use my industry experience to connect with meeting planners and tell them why Spokane is the ideal place for their next meeting or convention."